401(k) plan sponsors have a fiduciary responsibility to distribute certain information to plan participants from time to time. The purpose of these disclosures is important - to equip plan participants with the information necessary to make timely and informed decisions about their 401(k) account. However, these important participant disclosures can also be many – and spread throughout the year - which can make their distribution seem like an overwhelming fiduciary responsibility to many 401(k) plan sponsors. If you count yourself among these 401(k) plan sponsors, I have good news – your role in distributing participant notices should be small. That’s because a qualified 401(k) provider will do the heavy lifting by preparing all of the disclosures applicable to your plan. You'll just need to ensure that each is distributed timely using an acceptable method. Typically, this responsibility can be easily managed using a 401(k) administration checklist. Below is a description of the various participant disclosures that can apply to a participant-directed 401(k) plan - with guidelines for their distribution. You can use this information to confirm you’re distributing the participant disclosures applicable to your 401(k) plan appropriately. If you have further questions, ask your 401(k) provider – they should be able to help. Summary Plan Description (SPD) – Summarizes the major provisions of the governing plan document and other important plan information. Each new plan participant must receive a SPD within 90 days of the date they become plan-eligible. All plan participants must receive an updated SPD every 5 years if its information changes (e.g., due to plan amendment). Otherwise, every 10 years will suffice. Summary Annual Report (SAR) – Summarizes certain plan information reported by the Form 5500. All plan participants must receive a SAR within 9 months after the close of the plan year, or two months after the Form 5500’s filing deadline (if later). Participant fee disclosure - Reports certain plan administration information, including the plan and individual-level fees that might be deducted from participant accounts. Comparative chart – Reports certain plan investment information, including past performance, expense ratio, shareholder fees, and trade restrictions (if applicable). Each new plan participant must receive this notice within 90 days of the date they become plan- eligible. All plan participants must receive an updated notice within 14 months of the date they received their last notice. Benefit information – including total and vested account balance (as of the last day of the statement period), the value of each investment, and any limitations on participant investment direction. All plan participants with an account balance must receive a quarterly statement within 45 days after the close of the quarter. Safe harbor 401(k) notice – Applicable only to safe harbor 401(k) plans. Notice discloses the plan’s contribution and vesting provisions. Qualified Default Investment Alternative (QDIA) notice – Applicable only to 401(k) plans that use a QDIA as their default fund. Notice explains the circumstances under which a participant may be defaulted into the QDIA. Each new plan participant must receive the applicable notice within 90 days of the date they become plan-eligible. All plan participants must receive an updated notice annually, 30-90 days before the start of each new plan year. Summary of Material Modification (SMM) – Describes material changes made to the SPD. A SMM is generally due to a plan amendment. All plan participants must receive the SMM within 210 days after the close of the plan year in which the modification was made. An updated SPD can be distributed in place of the SMM. Fee change notice – Describes upcoming changes to the fees and expenses that could be charged to participant accounts. An updated annual fee disclosure notice can be distributed instead. Investment change notice - Describes upcoming changes the plan’s investment fund lineup. As an alternative, you can you can distribute a new Annual fee disclosure notice. Blackout notice – A 401(k) plan “blackout” is defined as 3 or more business days in which participants will be limited in their ability to direct assets, obtain loans or take a distribution. This notice is used to notify plan participants about the upcoming blackout. All plan participants must receive a blackout notice 30-60 days in advance of any blackout. If circumstances make this timing impossible, the notice should be distributed as soon as possible under the circumstances. 401(k) plan participants have the right to receive certain plan information upon request – including latest SPD, the latest Form 5500 filing, any collective bargaining agreement that covers the plan, the trust agreement, a contract, or other instruments under which the plan is established or operated. A participant must receive this information no later than 30 days after a written request. A reasonable fee can be charged to the participant making the request. A reasonable charge would be the lesser of $0.25 per page or the actual cost per page using the least expensive means of acceptable reproduction. Required participants disclosures can always be distributed in hard copy form – either by distributing copies at a company meeting or by mailing them to each employee’s last known address. Posting a required disclosure in a break room or other common area is not acceptable. The employee must be able to access their work e-mail at a location where he or she is reasonably expected to perform his or her duties as an employee. Access to the e-mail account is an integral part of the employee’s job responsibilities. 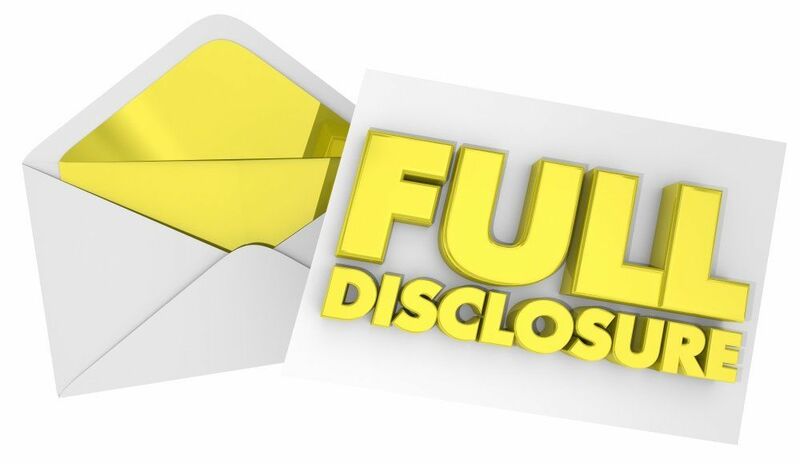 If a plan participant does not meet these requirements (e.g., a former employee or beneficiary with an account balance), electronic disclosure is not an option – they must be mailed or hand-delivered their disclosure. Don’t be confused! Your 401(k) provider can help. When a 401(k) plan sponsor fails to distribute required participant disclosures, the consequences can be severe - including plan disqualification or personal liability. That said, you want to meet this important 401(k) fiduciary responsibility. The good news is this job shouldn’t be overwhelming. A qualified 401(k) provider will do most of the heavy lifting by preparing all required disclosures. You just need to know what disclosures to expect and when to distribute each disclosure.